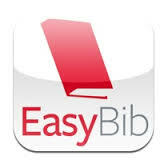 Access My Library® is available for download at the Apple Store or Google Play. One easy-to-use free app gives users unlimited free access to the Gale holdings in every library in town, including the Eastern High School Library. For questions regarding Access My Library®, call Gale at 800-877-4253.